The first week of August was our toughest so far this season . Warmer than normal temperatures combined with little to no rain has made fishing tough. Water levels on the Bonaventure, Petite Cascapedia and Grand Cascapedia are low and warmer than normal for this time of the season. Henrik Mortensen releases his first Cascapedia salmon the season. Nice one Henrik! 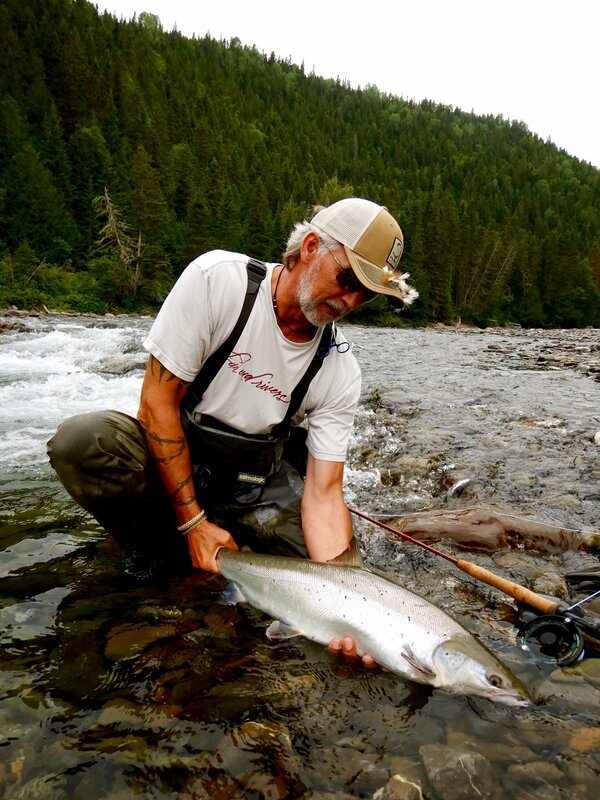 Our long time guest and good friend Rick Koe lands his first on of the season. good one Rick! That being said its certainly not gloom and doom. As I writing this report its raining hard and the Grand Cascapedia is already on the rise. The Bony and Petite move a little slower but the fresh water will make a big difference. This was Tony Garvey's first time Atlantic salmon fishing, didn't take him long to hook and land this beauty, congratulations Tony! The Bony has a good number of fish and fishing has been pretty good considering the conditions. The Petite Cascapedia is much the same with lower than normal levels, but we are having some good fishing. Water levels on the Grand Cascapedia were the lowest of our three rivers but the rain changed that in a hurry. 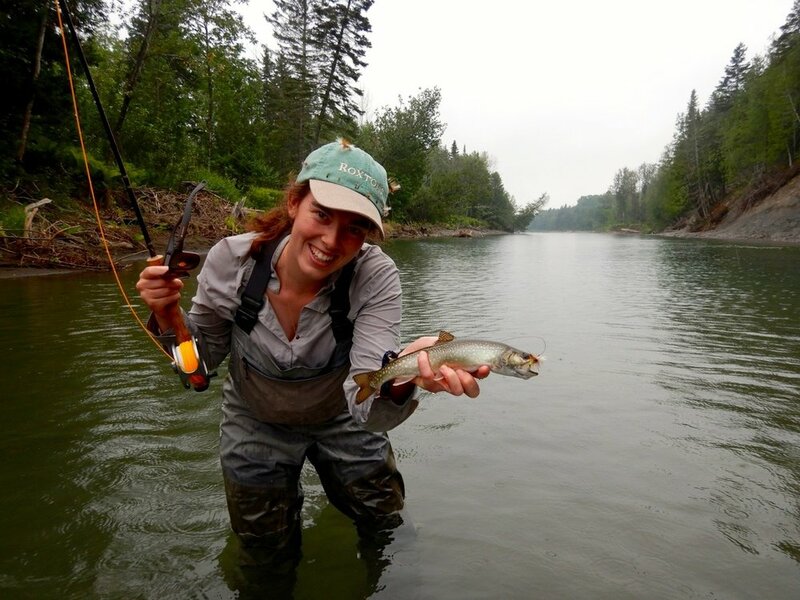 Barbara T'Kent with her first Atlantic salmon from this side of the Atlantic, well done! Harold T'Kent landed this nice grilse on his first day on the river, congratulations Harold. Antoine T'Kent with a fine salmon on the Bonaventure, nice one Antoine! Henreitte T'Kent made sure the entire family had great memories to bring home. Dry's continue on the top of the list for hot fly's, Green, Brown and Blue in sizes 2, 4 and 6. The wets doing the job are the John Olin and Stone Ghost along with the Green Machine and Undertaker. Even if they were more difficult to catch this week, it wasn't because they weren't there!